The Sony Xperia Z4 is finally here. Sort of. Well, it's definitely out in Japan. The rest of us get the same handset, just with a different name - meet the Sony Xperia Z3+. Sony can get away with touting a handset with incremental upgrades as a brand new model in its fanatical homeland, but apparently the rest of us are a little more cynical, so to pander to our not-so-sunny disposition the Xperia Z3+ tells us exactly what we're getting. The six month old Sony Xperia Z3, with a few added extras. Don't hope for anything too scintillating - there's no sign of a QHD display, fingerprint scanner or even a measly heart rate monitor here. Sony has concentrated on a few choice areas, one of which is design. The Xperia Z3+ is the firm's slimmest Xperia Z handset ever at just 6.9mm, making this metallic model wonderfully svelte. It's also managed to shave off some of the weight, with the Z3+ tipping the scales at 144g - down from 152g of its predecessor. And finally Sony has removed the incredibly annoying flap which covered the USB port, while maintaining the handset's water and dust proof status. Nice. The same 5.2-inch full HD display, 20.7MP rear camera and 3GB all make the switch to the Xperia Z3+, but a new processor - the Snapdragon 810 - means things should be quicker and smoother on screen. Another area Sony has improved is the front facing camera, which has increased from 2.2MP to 5MP, while also getting some new tricks behind the scenes with Sony's Superior Auto mode. In short, it should be easier to take even better selfies. 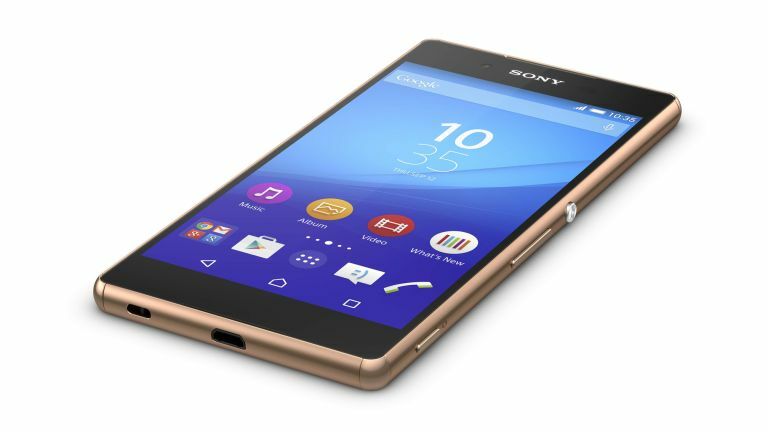 The Sony Xperia Z3+ will go on sale in June 2015, but we're still waiting on a price.